The Beginner Serge continues and completes this selection of entry level EuroSerge configurations. 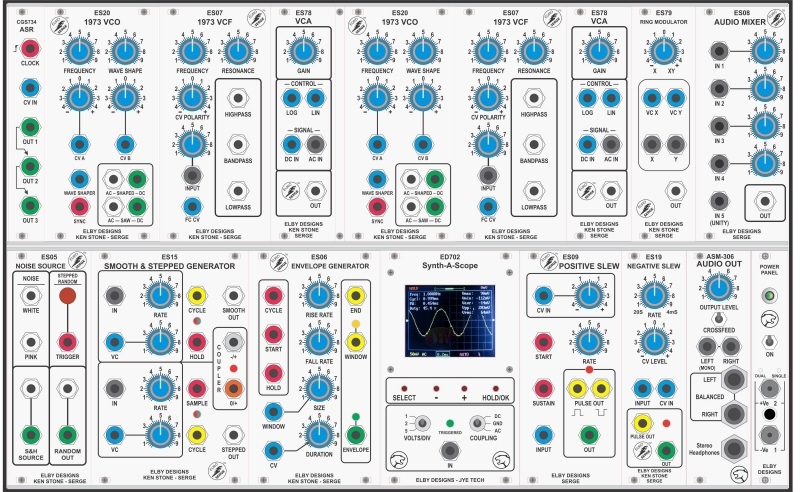 The additions of a second VCO and VCA make The Beginner Serge a fully effective, single-voice Serge and allows for more modulation opportunities and inter-patching control. Supplied in our Studio 700 6U 84HP enclosure with power supply and a selection of patch leads.